Most information communication technologies and services are designed to hook us. How do we pull the plug, Marc Kosciejew asks. We need to unhook ourselves from our information communication technologies and services. Information communication technologies and services are seemingly irresistible. They are seemingly so irresistible that many people are becoming increasingly addicted to them. These addictions are beginning to impact individuals and society in negative ways, while undermining personal fulfillment, relationships, and interactions with the world. They are also undermining mental health, cognitive abilities, neurological development, and both personal and public safety. There are incessant rings, dings and pings. There are constant messages, notices, reminders and updates. E-mails pressure us to be constantly on call and responsive to every message appearing in our inbox. Texts demand our immediate responses. Facebook beckons us with its bottomless news feed, free interactive chat and profiles. Instagram stimulates us with endless tableaux of photographs. Netflix entertains us by automatically playing the next episode in a series, or another similarly themed movie, almost immediately after the previous one ends. Tinder coaxes us to continue swiping in search of the ideal mate. Smartphones and tablets compel us to remain connected all the time. Digital cameras urge us to obsessively take selfies, pictures and videos and post them to social media. Rameet Chawla, a web developer, examined the addictive effects of the ‘like’ button featured on many social media platforms. He claimed that “people are addicted. We experience withdrawals. We are so driven by this drug, getting just one hit elicits truly peculiar reactions. I’m talking about likes. They’ve inconspicuously emerged as the first digital drug to dominate our culture.” We are becoming obsessed with how many ‘likes’ our posts or pictures are getting instead of focusing on tasks at hand including where we are walking, whom we are interacting with, or what we are otherwise supposed to be doing. Further recent research reveals the negative impacts and influences of these irresistible products and services. Researchers, for instance, are concerned that constant digital stimulation is undermining children’s attention spans and development. The American Academy of Paediatrics even stated that “children who overuse online media are at risk of problematic internet use, and heavy users of video games are at risk of internet gaming disorder”. 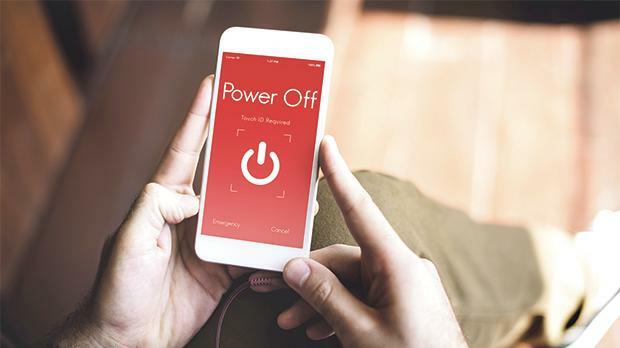 A recent University of Maryland project, moreover, reported that a majority of the students studied claimed experiencing distress when they unplugged from their devices for a full day. Other research has shown that computer users in the workplace check e-mails and change internet windows 37 times an hour, every hour. Indeed, it is a fine line between irresistibility and addiction. Alter warns that many people are literally, not figuratively, addicted to ICT. There are, admittedly, products and services that are designed to be engaging and only happen to be or become addictive. In other words they cause addiction by accident. But there are many others that are specifically designed to addict their users and exploit addictions. The deliberate design of irresistibility and addictiveness is therefore good for business. The more irresistible or addictive, the more that individuals will purchase, subscribe to and stay on these products and services. This user attention and engagement translates directly into profits for much of this industry. Thus, hooking users with irresistible gadgets and other offerings mean actual revenue and brand reputation for these companies. There is an industry term for the experts who research, create, develop, and test products and services to ensure maximum irresistibility: so-called growth-hackers. According to Sean Ellis, the chief executive officer of GrowthHackers.com, a software company specialising in online growth techniques, encouraging habitual use of a product or service is “not just about getting new people. It’s about retaining the people you already have and, ultimately, getting them to bring in more people.” Further, as Nir Eyal describes in Hooked: How to Build Habit-Forming Products (Portfolio, 2014), there are even influential consultants (including Eyal), who advise companies on how to make their products and services irresistible. 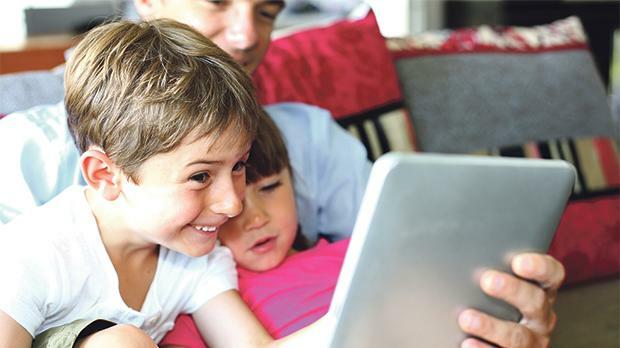 Digital stimulation is undermining children's attention spans. Growth hacking not only encourages addictive behaviours of users, but also encourages companies to make their products and services ever more irresistible. Tristan Harris, a design ethicist and product philosopher at Google, argues that these kinds of addictions are not about a lack of willpower. He states that, instead, “there are a thousand people on the other side of the screen whose job it is to break down the self-regulation you have” and get you hooked. He compares growth hacking and the maximisation of user attention and engagement to those food companies that have developed recipes and techniques using fat, salt and sugar to similarly hook their consumers. Interestingly, many Silicon Valley executives and other technology gurus moderate their own online habits and those of their children. Steve Jobs stated in a 2010 interview that his own children did not use iPads. In an interview about his book, Adam Alter describes how “there are a surprising number of Silicon Valley titans who refuse to let their kids near certain devices. There’s a private school in the Bay Area and it doesn’t allow any tech – no iPhones or iPads. The really interesting thing about this school is that 75 per cent of the parents are tech executives.” Perhaps the saying that “dealers never consume” applies. Breaking these addictions will require interventions from various parties, including governments, medical practices and individuals. Governments, for example, could attempt to regulate some kinds of usage behaviours. For example, in China and South Korea there are proposals for so-called Cinderella laws that prevent and protect children from playing certain games after midnight. There are even treatment and rehabilitation centres devoted to helping people break their digital addictions, such as reSTART, an American rehabilitation clinic specialising in treating young people with gaming addictions. In China, moreover, where internet and gaming addictions are alarmingly rising especially among adolescents, there are various camps where parents commit their children for months-long digital detoxes. At the individual level there needs to be greater moderation and mindfulness. We need to moderate our habits and usage with these products and services. We also need to be mindful of how these products and services permeate, and in some cases seemingly control, our lives. In her book, Colier provides three practical steps to help ween ourselves off of our devices. First, recognise how much use is necessary (for instance for work, family notifications or navigation), and what is obsessive checking, responding, posting and self-distraction. Second, make incremental changes to daily usage, such as refraining from using devices during mealtimes or social engagements. Third, become more mindful of what really matters to and for you in real life and devote more attention and time to it. We need to unhook ourselves from our information communication technologies and services. We need to be mindful of how we permit them into our lives. We need to moderate our use of them. We need to limit our attention paid and time spent on them. We need to reconnect and refocus on real life and the actual world around us, on being in the moment with someone else, on spending time in nature, on looking where we are going. As Alter states, “there should be times of the day where it looks like the 1950s or where you are sitting in a room and you can’t tell what era you are in.” Ultimately, we should not always be staring at screens and surfing the web. If these products and services are deliberately designed to addict us, we should in response purposefully resist and channel our attention and time on real life. Dr Marc Kosciejew is a lecturer and former head of department of library, information and archive sciences at the University of Malta.